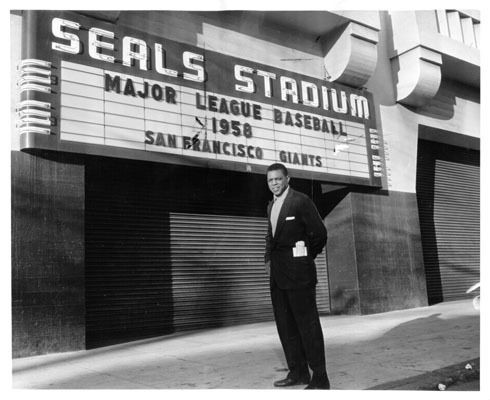 Title [Willie Mays standing in front of Seals Stadium] [graphic]. Description 1 photographic print : b&w. ; 8 x 10 in.